“Life is about pleasure,” says Patrice Piveteau, Cellar Master for . Whereas Americans tend to chase money, the French chase pleasure itself. (Case in point: the word “gourmand” doesn’t carry such negative connotations in French.) I think we can learn a thing or two from the French by prioritizing enjoyment over bragging rights. Though some Cognacs may be worth thousands of dollars, they won’t necessarily bring you any more pleasure than those going for a tenth of the price (trust me – I’ve had many in both categories). Don’t drink Cognac for any other reason than to revel in the liquid itself. However, cocktails – generally made with younger “VS” and “VSOP” Cognacs – undoubtedly provide the smoothest point of entry. Germain Canto, founder of cocktail consultancy , created the menu for in Cognac, France. Among his best Cognac-based creations are the “Copper” (cacao, orange, and umeshu liqueur), “Mint Oaked” (like a French mojito — made with lime juice, sugar, egg whites, and ginger ale), and “Jasmine Collins” (with jasmine tea, lime juice, soda water, and ginger ale). No fancy ingredients on hand? Simply fill a glass of iced Cognac with ginger ale to taste, as most locals enjoy the spirit. has 240 of the 13,000 hectares of vines in Grande Champagne. Their Chateau Fontpinot XO is amongst the best of what they have to offer, a Cognac aged only in dry cellars, where more water evaporates, and the spirit becomes focused, fine, and elegant over the course of decades. 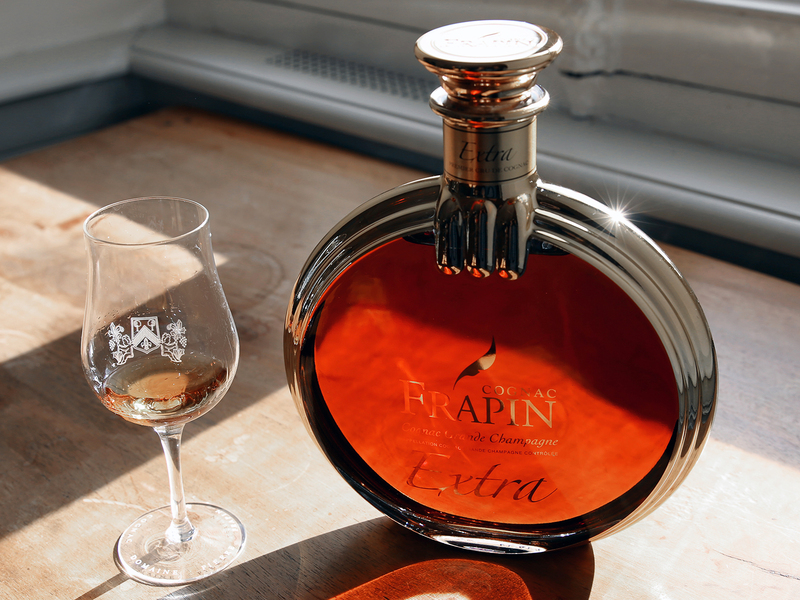 Contrast this with Frapin’s equally awesome Cigar Blend XO, made from eaux-de-vie aged only in damp cellars, where the spirit becomes round, supple, and luscious. ’s specialty is a long distillation ("time is what you make it," as the slogan goes), which gives it its signature flavor. Adding an extra hour or so of distillation time allows Bisquit to extract heavier molecules from the distillate, for a heavier spirit with more body. Their VSOP is one of the richest and most flavorful, with white flowers on the nose, and well integrated wood on the palate. 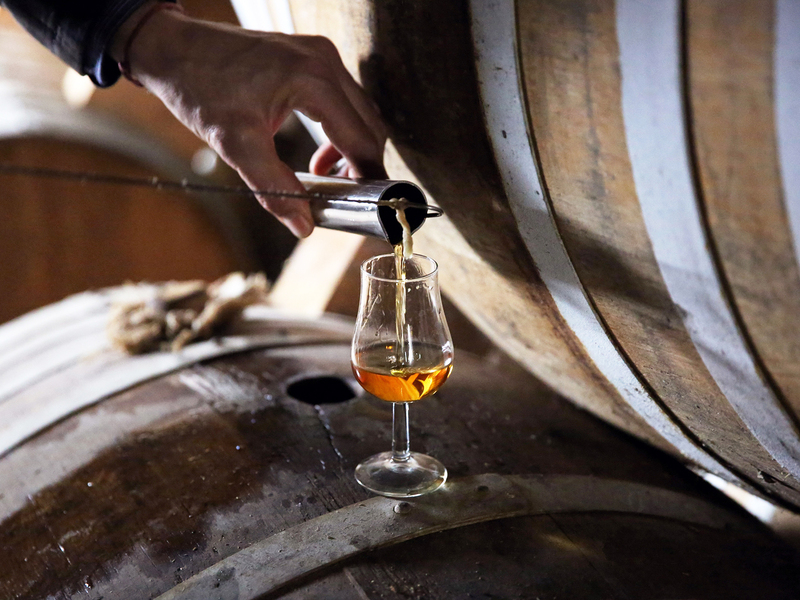 ’s passionate owner and master blender Alexandre Gabriel is equally invested in respecting Cognac’s heritage and history as he is in innovating. This is evident in products like his Renegade series, including eaux-de-vie aged in Sauternes or chestnut wood barrels no longer common or (gasp!) even legally permitted by AOC regulations. You also can’t go wrong with Ferrand’s , perfect for cocktails like juleps, punches, or crustas (ask your 19th century friends). The seventh generation of a winemaker family dating back to 1805, François Bouju is the current proprietor of . With only 30 hectares of 100 percent Ugni Blanc in Grande Champagne, Bouju carries on the style upheld by his ancestors with rustic eau-de-vies that pick up more complexity through extended aging. In fact, Bouju keeps his Cognac in new oak for much longer than many distilleries, with plenty of complex, deeply colored (nearly black!) spirits like the intensely woody, spicy, (and appropriately named) . The Cognac-native come from a lineage that has produced solely for the big houses for centuries. Now, Pierre Olivier distills in Touzac (Grande Champagne), while Xavier distills in Etriac (Petit Champagne) under the family name. Like Ferrand, the Philberts are innovators, playing with small vintage batches and experimenting with finishing Cognac in different types of barrels: notably, Xavier’s aged in Sauternes casks, and Pierre Olivier’s aged in Sherry Oloroso barrels.